The more I use Twitter, the more I love it. It’s amazing how passionate people can be in just 140 characters. On the first Tuesday of June I decided I wanted to use Twitter to ask more questions. I always want to learn more about beer and there’s great books, magazines and websites I like to read. But the simple act of asking a question can sometimes get better results, personal insights and opinions and hell, it’s just more fun. I’m calling it #temptingtuesday and asking the twitterverse something relating to beer on the first Tuesday of the month. Why “tempting’? … read on, you’ll see! I had this at The Goat and The Big Apple during Good Beer Week, a lunch at Mountain Goat Beer in Richmond with their beers together with Brooklyn Brewery (USA). It was simply divine. 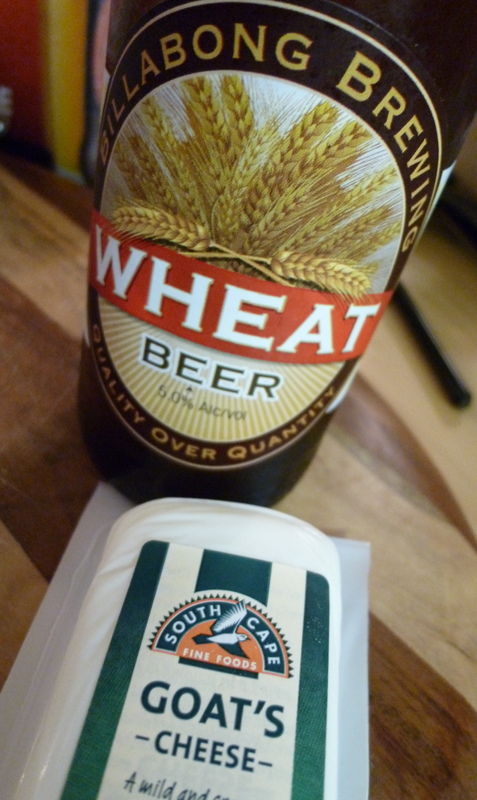 So it was time to go shopping, I picked out two beer and cheese pairings from the list. First up a suggestion from Steve Brockman, a Perth born brewer who is one half of Two Brewers Abroad and former Head Brewer at Fremantle’s The Monk Brewery. I like simple; I have a tendency to over-complicate things so this match definitely appealed to me. Also it was also an easy shop. Cheese – Cracker Barrel Vintage Cheddar. Just cause it comes from the supermarket doesn’t mean it’s crap. 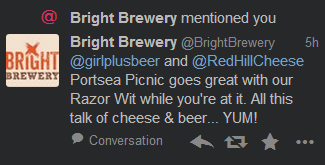 It’s a decent cheddar, fruity, tangy and nutty with a real thick mouth coating quality. 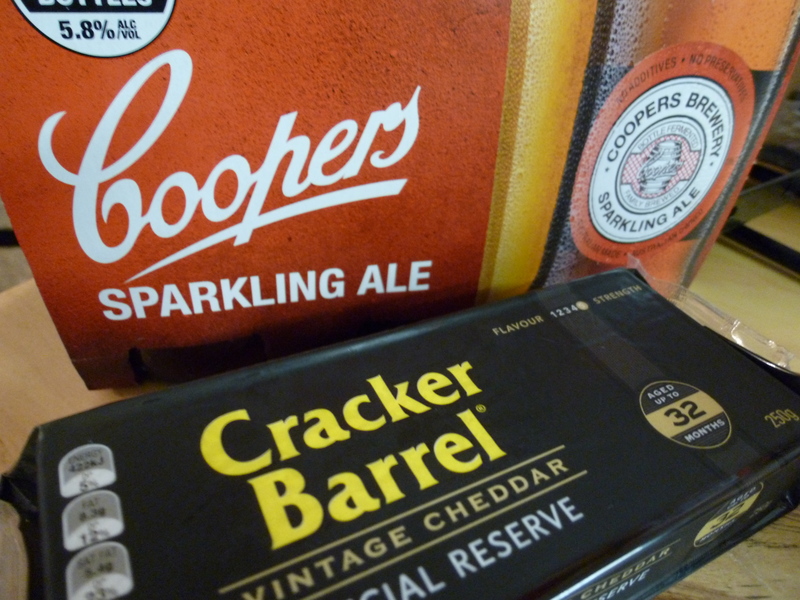 Beer – Coopers Sparkling Ale. What a classic beer! Floral, a little spicy and with massive drinkability. Result? Hell yeah. Steve was right, keeping it simple isn’t sacrificing on taste. 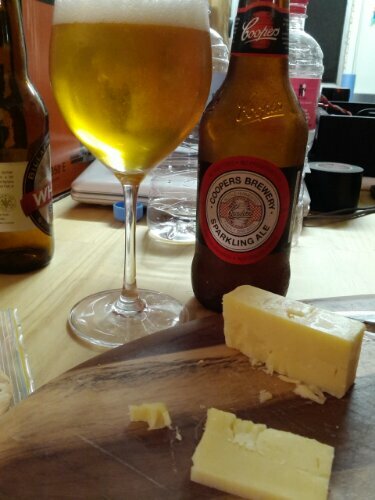 All the flavours complimented each other nicely and beer is just so good at cutting through a thick cheese. 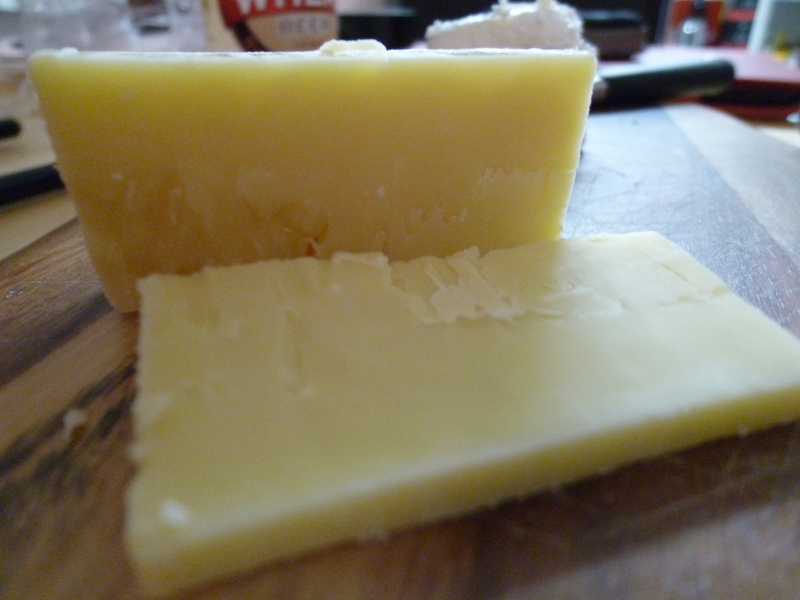 Cheese – South Cape Goat’s Cheese. Soft, fruit with a delicate tartness. 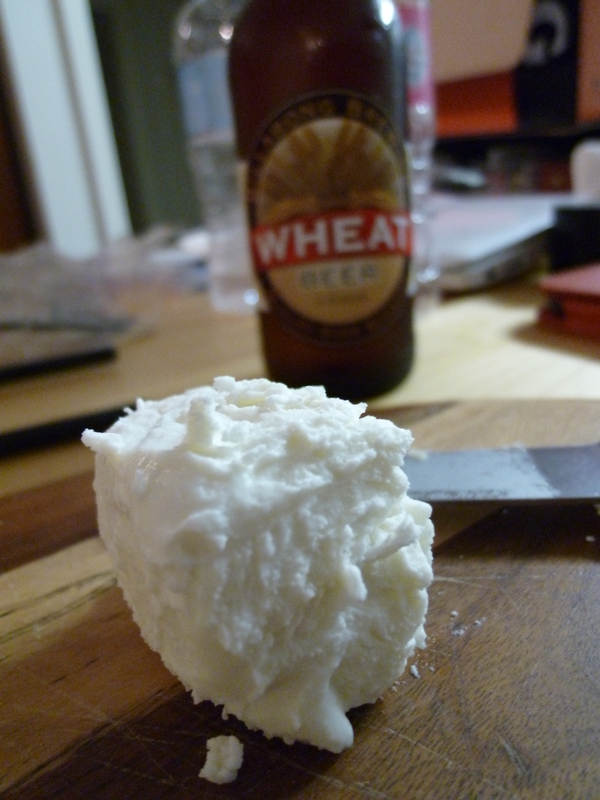 Beer – Billabong Wheat. Massive banana sweetness, light bodied and refreshing. Result? 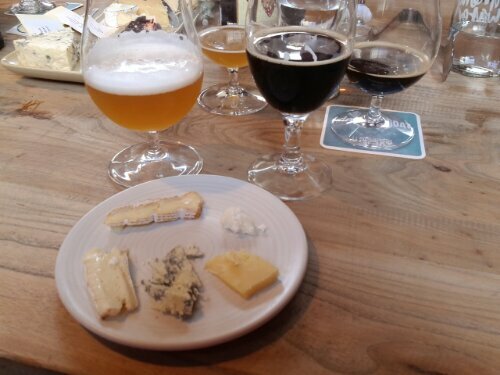 The two were alright together but the sweetness from the beer dominated the soft goat’s cheese. A beer a little easier on the banana and weightier on the spice might have worked better. I’ll leave this post on the Tweet that made me laugh the most … thanks Scott, you cheeky devil! I hope you’ll join me on Twitter for the next #temptingtuesday on the 2nd July!